The world has shifted on the digital platform. This is because the online community has vast opportunities to say what they feel about any product or services. Digital marketers have to deal with both positive and negative reviews and feedback. Ratings, reviews and feedback show how your app is performing in the market. Developers are more agitated when they receive a negative comment even though it is indispensable to provide space to the users to express their reviews about app functionality. Don’t let your user report or file bug against your app. Before they go nuts, you have to make sure that they keep calm. Start by thanking him to provide help to improvise the app. At the same time, give assurance that you will fix the problem as soon as possible. A study by Convince and Convert says 42% of your customers will expect a 60-minute response time and 32% of them expect a response within 30 minutes! That’s quick! As per the social media rule, the faster you respond, the better you’ll look in the eyes of community. Negative comments are painful and so you have to first accept the fact that there is a problem. If you want to maintain the long-term relationship with the customer, you need to be honest and take responsibility for the mistake.You need to communicate in a constructive way to the customer. You need to convince them that you are here to resolve the problem as per their needs. This act of acceptance will increase the positive image in consumer’s mind. It is obvious that reading negativity somewhere affects you personally. Your brand and company is personal to you, so whatever people say it automatically affects you on the personal level. A customer has right to express their outrage by reviewing the app. This doesn’t mean that you should not express the same feelings towards them.Your emotional outrage on the negative comment can spoil the image of the company. Instead, you have to calm down and try to solve the error. Never give personal comment to the reviewer or say anything bad on the personal level. Your task is to find out the root cause of that problem and come up with a solution for it. Sometime people express overly negative opinions just for the sake of publicity. You should try to avoid this kind of people who drag you into the trolls for their benefit. That unnecessary troll harms your brand image and leads to negative word of the mouth publicity. Most possible ways to stay out of this is just scroll down. It is not necessary to reply everyone who commented. As you reply to one negative comment, it will ignite more fire. Better to scroll and move from that negativity. When you accept the mistake, it is your duty to apologize on the same platform. Let them know what you’ve done about it, and reply them with apologetic words directly by the tweet or where you found the negative review. In that situation, you can explain your story and tell them what you can do in that situation. Chances are there you will not be able to resolve that problem for the particular customer, but, you can publicly show your effort that you tried for a solution. Remember a quick apology make a huge difference in the way your brand is perceived. When you make necessary corrections in public, you should try to communicate further personally with the affected customer. Some people might try to harm your image publicly more often, but you can request them to make further conversation via email or direct/private message. When you develop social media, it is important to keep in mind that you need to look good while resolving the problem. Communicating on the personal level gives the idea to the develop the relationship with the customer and it will enhance the brand value in customer’s mind. 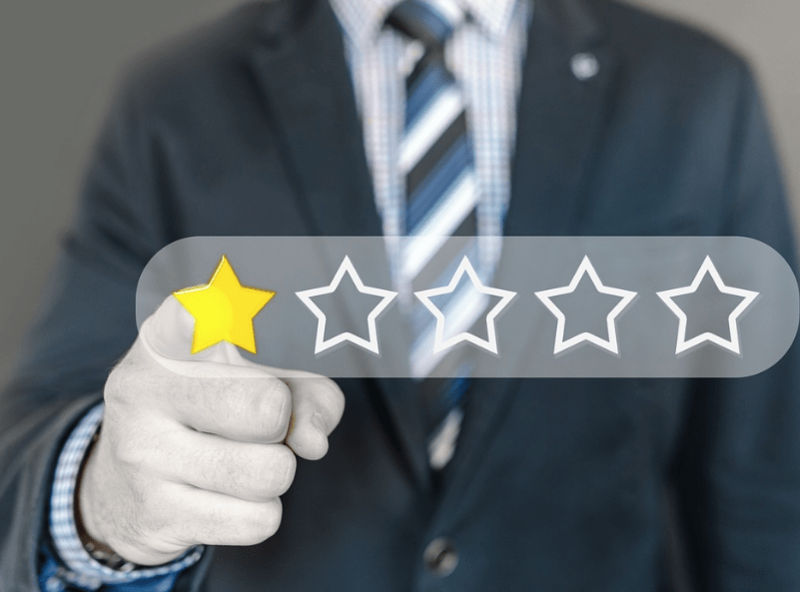 Adjusting your business nature with the ratings and reviews is a totally different ballgame. Every business wants to be known as one of those brands, who listen to their customers. If you’ve seen significant patterns in customer feedback, you need to take the action and develop the positive change.When you make it right and give solution to that problem, next time you should ensure that you don’t repeat the same thing for another customer. Learning can help you to grow your business in the right direction.